Diabetes is the fasted growing disease in Australia. The rate of Type II Diabetes has more than doubled in the last 20 years. About 275 people are diagnosed with Diabetes everyday. Around the world, every 10 seconds two people develop Diabetes and one person dies from Diabetes related causes. It is estimated that 1.5million people in Australia already have Diabetes and another 800,000 don’t even know that they have it! Type II Diabetes Mellitus is becoming more common in children and teenagers. Diabetes may show no symptoms and you are at increased risk of having Diabetes if your waistline is greater than 80cm for females or greater than 100cm for males. 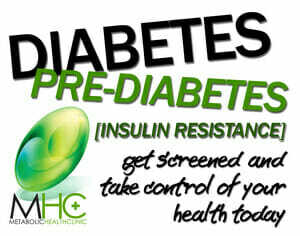 Diabetes is an irreversible disease where glucose ( a sugar that our body uses for energy) builds up in the bloodstream. The hormone insulin is produced in the pancreas and works hard to keep the amount of glucose in our blood in a safe range. When insulin can no longer control the amount of glucose in our blood Diabetes is diagnosed. This is a condition where the pancreas can no longer produce insulin because insulin producing cells have been destroyed. This required daily injections to keep good control of blood sugar levels. Type II Diabetes accounts for 90% of all people with Diabetes. In this type of Diaetes the pancreas may produce some insulin but it does not work as effectively as it should. As a result, blood glucose levels rise above the safe level. Type II Diabetes can be prevented and managed with a Healthy Eating Plan and regular physical activity. This is a condition where blood glucose levels or insulin levels are higher than normal, but are not high enough to be diagnosed as Diabetes. This condition is also known as Insulin Resistance or Glucose Impairment and it is reversible if managed early. Research has shown that insulin is the hungry hormone that can also act as a fat storage stimulant. High insulin production may therefore cause an individual to eat excessively and have difficulty maintaining a healthy body weight. This type of Diabetes only occurs during pregnancy. During pregnancy, hormones produced by the placenta blocks the action of the mother’s insulin, known as insulin resistance. The baby is then pre-disposed to Diabetes, as well the mother is at risk of developing Type II Diabetes. Blood Glucose Monitoring – Once diagnosed with Diabetes, it is essential to monitor and record your blood glucose levels. This is done by a self-administered finger prick test. The frequency and timing of testing will vary, and should be discussed with your dietitian or Diabetes Educator. HbA1c testing is another important method of monitoring blood glucose levels. This involves a blood test every 3 months to obtain a long term marker of blood glucose control. Metabolic Health Clinic can supply you monitors at no charge if you elect to be treated by them. Health Professional Management Team – Diabetes is a complex disese and it requires a number of health professionals to be involved in the treatment team. Your dietition or Clinical Nutritionist are vital members of this team, as food and exercise are the two most important elements for managing your blood glucose levels. Regular visits to our Diabetic specialist clinic are essential to manage Diabetes successfully. You can visit or make an appointment to see us by calling 9841 6759, or drop into the Metabolic Health Clinic at 1059 Doncaster Road, Doncaster East. One of the few free choices available to everyone is what they eat.